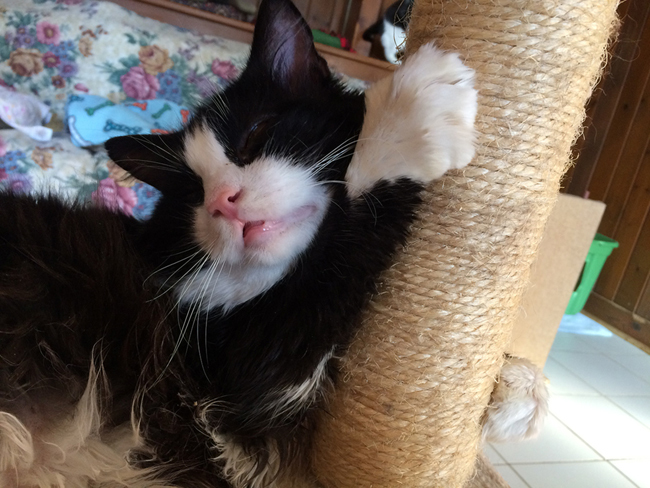 At a recent party, I was struck at how flippantly one of the guests spoke about declawing her cat. Her explanation was that the cat was scratching her furniture and since she could never part with her beloved companion, the only option left was to have her cat declawed. Then a few weeks later while waiting for a hair appointment, the topic came up again when the woman sitting next to me was telling her companion that she had adopted a cat and was going to have her declawed so that she wouldn’t destroy the furniture or scratch her children. Stories like this make Pets Alive Animal Sanctuary Executive Director Becky Tegze cringe. In the Cat House at the no-kill animal sanctuary located in Middletown, NY, residents roam freely in rooms that simulate a home environment. There are scratching posts in every room and rarely do the feline residents scratch on the furniture. If they do, staff and volunteers immediately get to work redirecting them to the scratching posts. Experts at the Humane Society of the United States (HSUS) say that, too often, people seek declawing surgery for their cats because they believe it is a simple procedure—the equivalent of trimming your fingernails. In reality, declawing involves the amputation of the last bone of each toe. If performed on a human being, it would be like cutting off each finger at the last knuckle. Cats scratch and use their claws to mark their territory, condition their nails, defend themselves, capture prey and play. They also use their claws to stretch their backs. These are all natural behaviors. One night I got a call from my friend asking if I had styptic powder. She had cut her dog’s nail too close to the quick and now the nail was bleeding profusely. I pulled out our pet first-aid kit to find that not only were we all out of styptic powder, but we were short on many other medical supplies as well. It was time to head to the store. 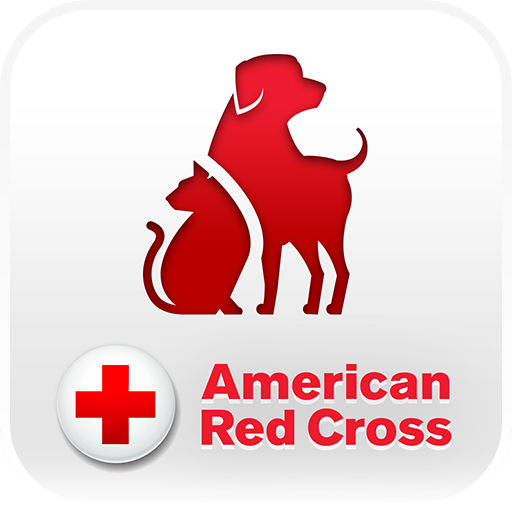 Experts at the Humane Society of the United States (HSUS) recommend that anyone who shares a home with a pet should keep a pet first-aid kit on hand. You can purchase a first-aid kit designed for people and add pet-specific items to that, or you can purchase a specialized kit at a pet store or from a catalog. Alternately, you can start your own kit from scratch. Environmental protection matters to me, and this year I am extending my “go green” attitude to include our dogs. For starters, I need to reconsider how I am disposing of doggy poop. Currently I use plastic grocery bags to pick up after our dogs. That means using plastic shopping bags instead of cloth. And those plastic poop bags end up in the regular garbage where they can take up to 400 years to degrade. Not picking up the poop is never a good option, either. According to environmental experts rainstorms wash the waste into sewers where it can eventually find its way into rivers and beaches. It’s also a health hazard to leave dog waste laying around your yard, and it’s disrespectful to neighbors not to pick up after your dog in the neighborhood or community parks. Not to mention, in many communities you’re breaking the law by not cleaning up after your dog. 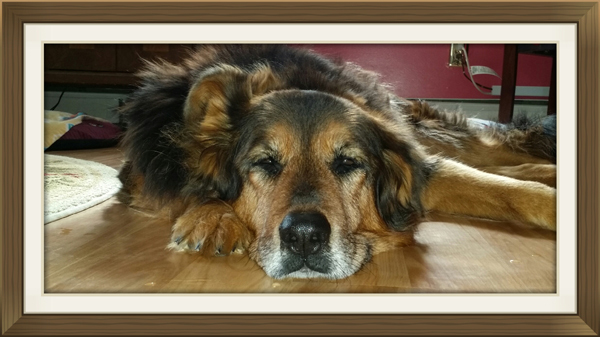 Does microchipping really help in finding a lost pet? I just renewed my annual membership for our foxhound, Bella, in the HomeAgain Pet Recovery Service. I debated whether or not to spend the $19.99 membership fee. 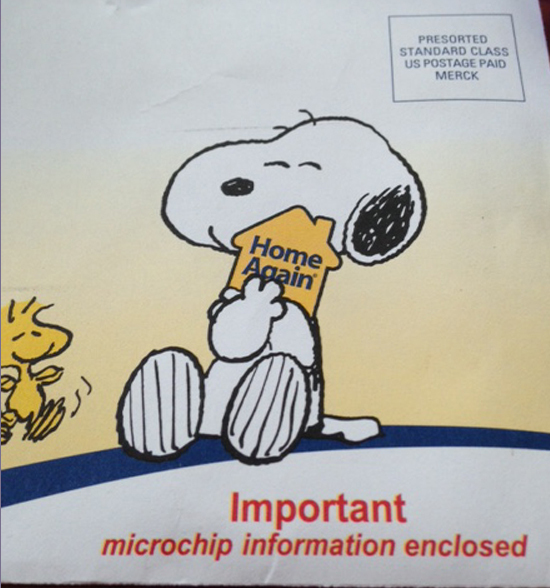 If I hadn’t renewed the membership, Bella’s microchip number and our contact information would remain in the HomeAgain Recovery Database. I could still access that database to update contact information. And if Bella ever did get lost and was taken to an animal hospital or shelter, they could scan for the microchip, read its unique code, and reach out to HomeAgain to retrieve our contact information. So Why Pay a Membership Fee? As a HomeAgain member, I get much more support from the company. If Bella should ever get lost, HomeAgain will send out lost pet alerts to veterinarians, shelters, and Volunteer Pet Rescuers in the area where Bella was last seen. As a Volunteer Pet Rescuer, I get these email alerts all the time. They include a photo of the missing pet, the exact location where he/she was last seen, and a lost pet flyer with the pet’s photo and contact information. It’s not at all uncommon to see posts on pregnancy forums where a contributor shares that her OB-GYN advised getting rid of the family cat. The fear is that the pregnant mom might contract toxoplasmosis, a rare parasitic disease that can be transmitted via a cat’s feces, and passed along to the unborn baby. Toxoplasmosis can lead to miscarriage or cause malformed babies. For some parents, this fear is so great that they are compelled to part with their beloved cat/cats. Every year shelters take in cats who lose their homes when a new baby is on the way. 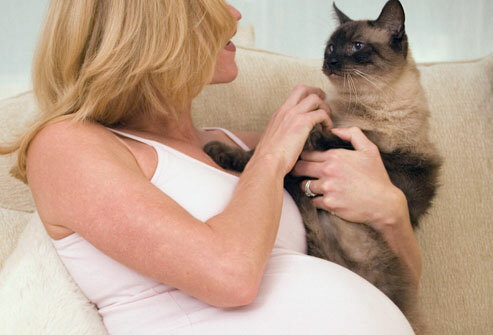 According to the U.S. Center for Disease Control (CDC), it is not necessary for pregnant women to part with their cats. By following safety tips, mothers-to-be and family cats can happily share a home. 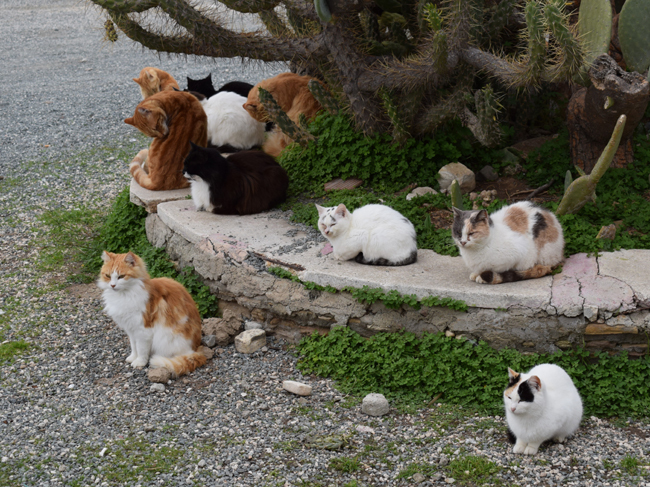 In fact, according to the CDC, people are more likely to get toxoplasmosis from eating raw meat or from gardening than from their cats.